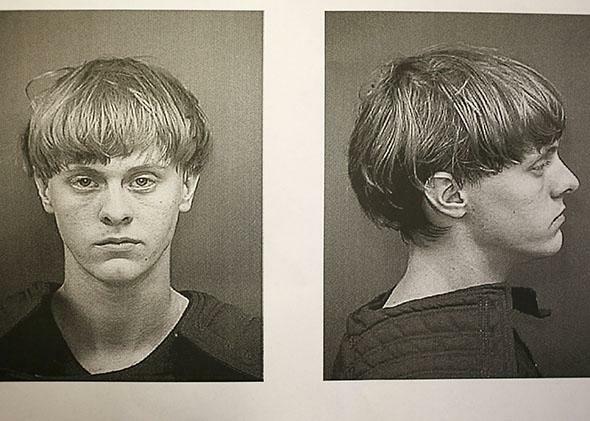 Dylann Roof: The Charleston shooter was radicalized by the Trayvon Martin case. Are there others like him? How hate groups have used the deaths of Trayvon Martin and other black men to grow their ranks. The booking photo of Dylann Roof, the main suspect in the mass shooting at the Emanuel AME Church that killed nine people on June 18, 2015, in Charleston, South Carolina. One of the most chilling revelations about Dylann Roof, the alleged murderer of nine parishioners in Charleston, South Carolina’s Emanuel AME Church, is that his descent into crazed and deadly racism began with a simple Google search. According to a manifesto he posted online sometime before his rampage, Roof had his “awakening” after seeing news reports about the death of Trayvon Martin. Roof describes hearing and seeing Martin’s name everywhere, looking him up on Wikipedia, and “being unable to understand what the big deal was.” After that he typed “black on White crime” into Google and came upon the website of a far-right group called the Council of Conservative Citizens. After that day, Roof wrote in his manifesto, he was never the same. It is disturbing to learn that Roof was radicalized as a result of the very same incident that led to the creation of Black Lives Matter, the civil rights movement that has grown into a formidable force since Martin’s death. It suggests that the string of deadly police encounters between white officers and unarmed black people that have buffeted the country since Martin’s death might be helping hate groups like Stormfront, a “white nationalist community” that hosts several high-traffic message boards, recruit new members. As University of Pittsburgh sociologist Kathleen Blee, who studies hate groups, told me, people who subscribe to white supremacist ideology are “really adept at taking news items and reframing them.” Looting in Baltimore becomes evidence of an impending race war, Blee said; the indictment of the officer who killed Walter Scott becomes evidence of white victimization. To learn more about how hate groups take advantage of the racial turmoil our country has been embroiled in recently, I spoke to the Southern Poverty Law Center’s Heidi Beirich, an expert on white supremacist organizations in the United States. Slate: Do news events that involve race help white supremacist groups grow? Heidi Beirich: It’s definitely the case that every time there’s been one of these incidents between white cops and the mostly young black males who have been killed it leads to an increase in membership on white supremacist forums, and engagement—meaning there are threads on those topics, and they end up being the most active threads on the sites. There’s incredible interest in the white supremacist world in these issues. And they of course see these issues a lot differently than the rest of us, and talk about rampaging black men, good white cops, black people can’t control themselves, that sort of stuff. I guess it’s not particularly surprising that people on these boards would be talking about these events. But is it the case that these events actually result in their movement attracting new members? In general, I would argue that the white supremacist movement has been growing. Our counts have shown that their reaction to the Census Bureau in 2000 saying whites would go into the minority in the 2040s, the rise of Obama, all of this has led to an increasingly active and engaged backlash. It’s obviously a sliver of the U.S. population, but this is fuel for the white supremacist movement, it’s fuel for the violence that we’re seeing, this lone-wolf violence, and a lot of those people are radicalized on the Web, on hate sites. Do people on these hate sites frequently draw a link between their own radicalization or “awakening” to something as specific as, say, Trayvon Martin? [Dylann Roof’s] manifesto was very, very direct. But if you go onto websites like Stormfront and whatnot, you’ll see newbies who start getting involved in those threads and get more active. So that pattern is playing out on the Internet—it doesn’t always lead to someone killing people, but it’s certainly drawing people into those conversations. And you can actually see, in these threads related to cases like Martin’s or Michael Brown’s in Ferguson, people who have not posted before? You can. You can also go to the sections of the website that are for new members, and you can see the white supremacists talking them through. I should say though that this pattern is not a new one. The biggest bump in membership that the Neo-Nazi National Alliance got, throughout its first 15 years of existence, was during the L.A. riots, and that was way before we had the Web and all that, but it was the same kind of thing—like Ferguson, it drew people to that organization. So if the question is, do these things drive people into the white supremacist movement, the answer is yes. What’s different about the way the new recruits talk on these websites, compared with the people who have been involved for a long time? They’re usually less sophisticated, they haven’t bought into the arguments, so they’re oftentimes trying to logic things out. The truth of the matter is that the white supremacist websites don’t have that sophisticated of an ideology—it’s not that hard to understand. But you know, people will kind of wander in there and start asking questions. They might either fall for it all at once, or they might retort in different ways—it depends on the case. And you’ve seen cases where someone explicitly says, “I came here because I saw this story on the news”? Yeah. Absolutely. I’ve even seen people who are anti-racists slowly get converted to the racist position. Does it make it easier to lure people in when there’s a case like Trayvon Martin or Michael Brown in the news? Yes, because you get someone who maybe feels like all Black Lives Matter [activists] care about are black people—that they don’t care about white people. You just need to start with a little tiny inclination like that and it leads you to these sites. You Google “black crime” and you’re gonna land on Stormfront. Their propaganda is pretty sophisticated. And so it just takes that little spark of someone who’s watching Ferguson and decides, you know, “Gosh, look at all the black people rioting. What about the white people?” And then boom, there you are. Have you noticed any tactics that the more veteran members of these forums use to take advantage of moments like this? I don’t think it’s different than any kind of recruitment process. These new people ask, you know, “Well, what are you all about?” And they’ll sound all nice, but what they’re really saying is scary.